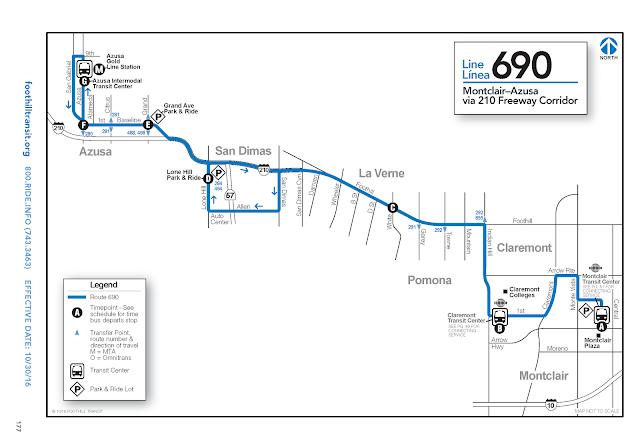 On 08 October, TransportiCA wrote about what we feel are the "silver linings" of modifications to Foothill Transit's line 690. 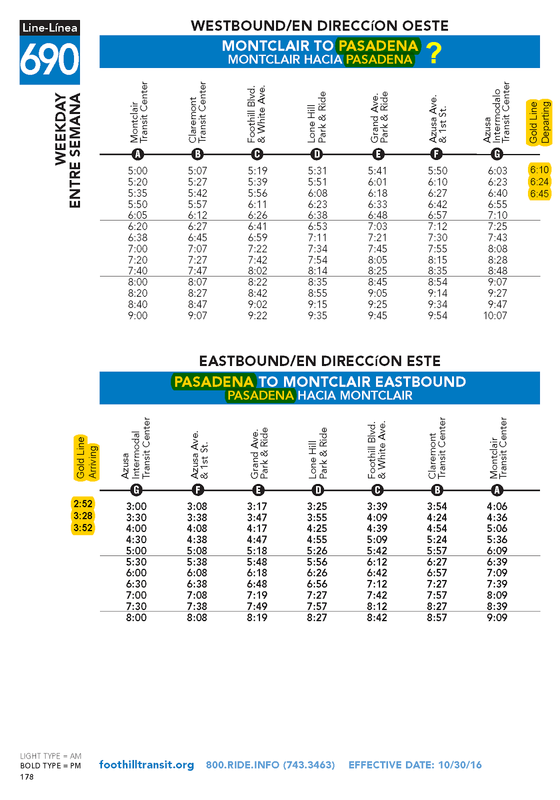 The route currently runs as an express from Montclair to downtown Pasadena, via Interstate 210. 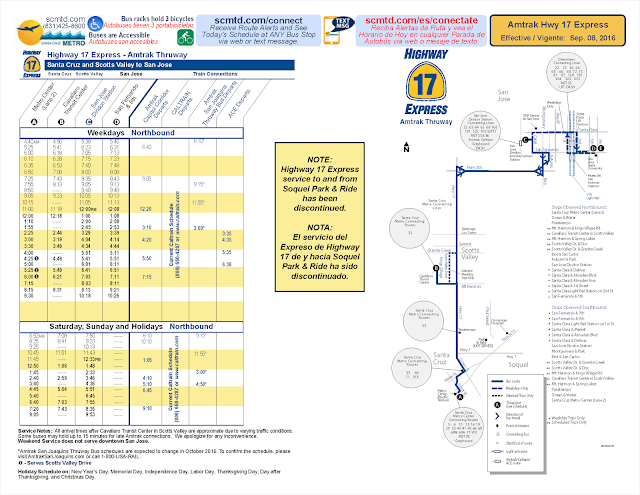 With the opening of the Metro Gold Line Azusa extension, it was reasoned the line would be modified, avoiding service duplication. 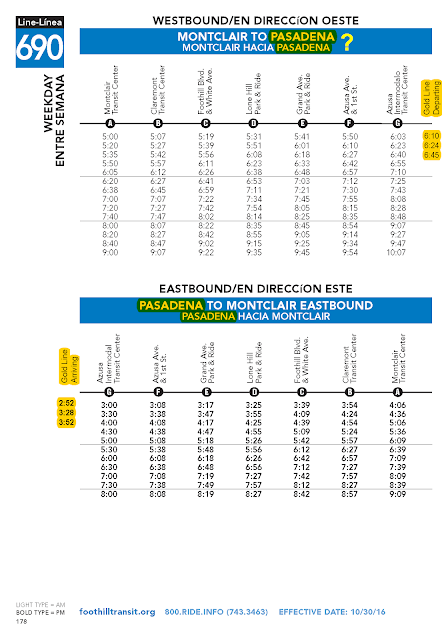 TransportiCA also provided comments to Foothill Transit about the need to emphasize morning riders obtaining transfers for the Gold Line portion to Pasadena, as well as, adding the closest arrivals and departures of the Gold Line to line 690's new schedule. Below is our latter suggestion - transposed on the new schedule, as well as, an example from Northern California.